Villa de Pescadores is a family business, perched on the malecón of the cozy pueblo of Río Lagartos. We were already here when, in 2004, UNESCO established the tropical wetlands surrounding our home as the Ría Lagartos Biosphere Reserve. This recognition boosted already-existing, local efforts like ours to create a responsible, conscious tourism to one of Earth’s most treasured destinations. Landscapes include long stretches of virgin beach, mangroves, jungle, estuaries, and lagoons. Our hotel is a small dot inside of 233 square miles of diverse, otherworldly landscapes. Home to the world’s largest flamingo nesting grounds, the Reserve is a living oasis for endemic and migratory bird species. Landscapes include long stretches of virgin beach, mangroves, jungle, estuaries, and lagoons. The wetlands overflow with rich quantities of nutrition, feeding grounds for more than 380 species of migratory and local birds, 59 species of mammals, and more than 80 species of reptiles. This abundant biodiversity makes Río Lagartos one of the most adventurous destinations in southern México. The pueblo of Río Lagartos is a peninsula in itself. Surrounded by water on three sides, the land is protected by a “malecón,” where local fishermen and guides dock their boats. 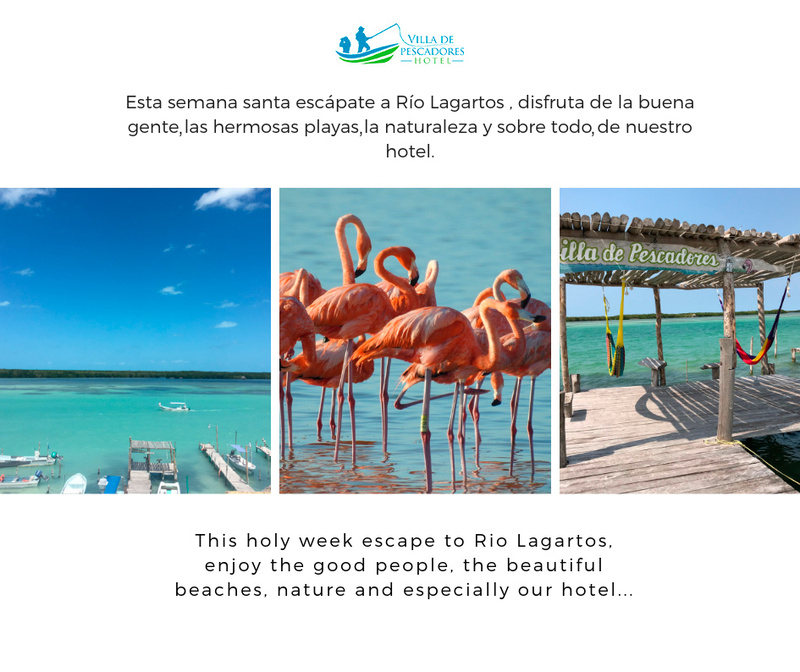 While in Río Lagartos, we encourage our guests to explore the expansive Reserve by boat with knowledgeable guides who lead you on experiences that allow you to connect with the water, wildlife, and wetlands of the region. Although each adventure is unique, our guides offer six main tours, adapting to your desires as the boat floats. Whether you are a birdwatcher, professional photographer, fishermen or a lover of natural landscapes, we will help you to find the perfect way to explore the Reserve.